The inclusion of psychological services in medicine has existed within tertiary care and specialty care settings, such as inpatient consultation and oncology, for decades. The inclusion of behavioral health specialists within primary care settings is relatively recent, however. 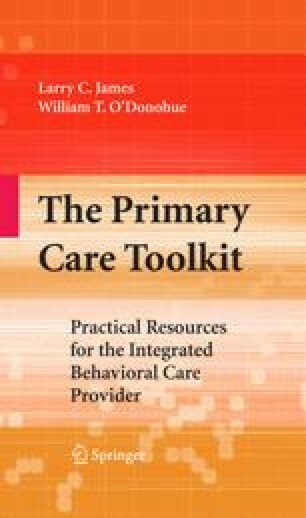 The growing need for well-trained and effective delivery of behavioral health services within primary care is due to several critical factors as discussed in prior chapters. This chapter will focus on the training and core competencies necessary for primary care medical providers, in order for an integrated service to become highly effective. A perspective on these competencies would be incomplete without first defining primary care and primary care providers.